Greenbank is a small community on Whidbey Island, Washington. It is a part of Island County and has a population of just over 200 people within city limits. 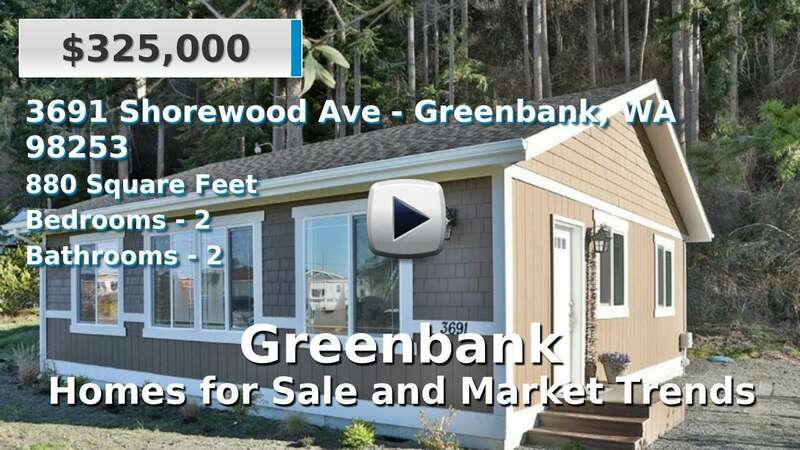 Greenbank is located between the cities of Coupeville and Freeland on a particularly narrow section of the island; to the east is Admiralty Inlet and to the west the town borders Holmes Harbor. Needless to say, many homes for sale here in Greenbank have fantastic views of the Puget Sound. 2 Beds | 1.75 Baths | 1964 sq. Ft.
6 Beds | 5.5 Baths | 5769 sq. Ft.
2 Beds | 2.25 Baths | 2062 sq. Ft.
2 Beds | 1 Baths | 600 sq. Ft.
3 Beds | 2 Baths | 1226 sq. Ft.
4 Beds | 2.75 Baths | 2658 sq. Ft.
2 Beds | 1.5 Baths | 880 sq. Ft.
2 Beds | 2.75 Baths | 1868 sq. Ft.
2 Beds | 2.5 Baths | 2318 sq. Ft.